Administrative personnel perform many daily tasks including providing violator assistance on the telephone, and at the front counter. To maintain a high level of customer service, administrators need to provide information and conduct transactions – quickly and accurately. It is critical to have this ability without the needless, difficult requirement to enter and exit various windows to search for data and enter transactions. ParkTech® provides new and innovative software to perform multiple inquiries and transactions – all from the same inquiry/update window. ParkTech® was designed to be flexible, efficient and cost-effective. The system is easy to learn, simple to use, and comprehensive in scope. ParkTech® is a complete system incorporating all aspects of parking citation processing, tracking, and management with emphasis on customer service and collections. Because ParkTech® utilizes the most current technologies including database engines, database optimization techniques, and true client server platforms, the system is scalable – meeting initial and future growth demands of small, medium, and large parking administration operations.  ParkTech® was developed by NetTech staff with an aggregate of over 125 years of experience. This high level of proficiency enabled NetTech to design a superior product with the ability for on-going functional enhancements. ParkTech® has proven to be extremely stable and operationally sound. The ParkTech® system is an interactive system using a client/server platform in a networked environment. All activity is immediately recorded to ParkTech®’s Access or Microsoft SQL Server database. ParkTech® uses industry standard database programming techniques, linking all pertinent data elements within the database. These data elements include citations, vehicle license plates, and registered owner data. Linking these critical data elements ensures access to violator data from virtually any data element within the database. As citations are entered into the system, ParkTech® automatically links each related data element. The license plate and citation number of a newly entered citation, are linked with the license plate of the owner name on file, completing the linkage of all associated data records. Additional inquiries, transactions, and updates can be performed – all from the same window, using these inquiry file folder tabs. ParkTech® also provides inquiry capability for multiple customers from this same window. This is accomplished using standard window techniques such as “over-lay” windows, “file folders “, “drop down” windows, “radio buttons”, horizontal left/right scrolling arrows, vertical up/down arrow scrolling, and highlight/click selection techniques. This multiple inquiry/update capability, from the same window, precludes the necessity to exit out of a window to complete any activity pertinent to these data elements. The indexing features of ParkTech® allow for partial searches. Authorized users can enter the first three letters a name and execute a successful name search. Partial license plate lookups are also permitted. As transactions are conducted and updates are entered, ParkTech® maintains a chronological history of each entry that is made in the system, for each account. These entries are automatically date/time-stamped and recorded in ascending order so the user will always view the latest entries first. ParkTech® provides command (radio) buttons to change the selection criteria when an inquiry has been initiated. For instance, if there are multiple citations for a license plate, the software can display all citations, paid and unpaid. The user can also alternately display only unpaid citations. ParkTech® provides controlled methods for citations to be entered into the database via electronic data entryand/or manual data entry. The software provides for electronic data entry by importing citations from NetTech’s PalmTech® Citation Issuance Software or any other citation import file that might be included in the system. If data is NOT entered in these text boxes, the software highlights the text box in RED and displays an appropriate error message. For real time data entry, citations are entered singularly (one at a time) with immediate database update upon completion of entering each citation. This is particularly efficient when a violator is at the counter with a citation, but citations have not yet been entered in the normal process for that day. Batch data entry can be accomplished by accumulating a number of citations within a batch for subsequent batch posting to the database. Citation data entry can be controlled by batch numbers that can be included as a batch reference on various reports for tracking and auditing purposes. To minimize data input errors, the software provides a Data Entry Control module for input data editing and batch posting/update to the database. This includes manually entered citations and electronically imported citations. This module has the capability to match certain fields of the citation records to an edit table to identify input errors. Any records with errors are placed in an error correction batch, for research and correction, and do NOT update the database. The software displays an error message to alert the administrator of the error conditions, as well as an Error Corrections Report, which lists corrections to entered data. After the update has been completed, the software generates a printed report of the total quantity and dollar amount of all citations that updated the database. The Data Entry Correction module displays the batch number with errors and the number of citations that are in error. The software then provides the capability to display the batch and erroneous citation records highlighting the fields (text boxes) which contain the error(s). After the corrections have been entered, the batch posting/update is initiated through the data entry control software. The software provides administrative/ supervisory citation corrections. All corrections are password protected and immediately recorded in the history file along with date, time and user ID that performed the correction. ParkTech® provides for the batch processing of mail-in payments as well as over-the-counter payments. Credit card number, expiration date and amount. ParkTech® provides the capability for multiple transactions per tender, as well as single transaction processing. An overpayment can be applied to the next citation in the customer account, applying the entire payment amount to as many citations as available, and display partial balances due. ParkTech® allows for payment entry by bar code reader devices. This can be especially effective for high volumes of mail-in payments eliminating the need for manual entry of the citation numbers. The bar code reader is used to scan the citation numbers on the citations. The software automatically displays the appropriate account and the “payment window”, providing faster access and transaction completion. ParkTech® provides for over-the-counter payments to accommodate “walk-in” payments. When a violator arrives at the front counter, the user quickly access the database by customer name, citation number, license plate number, account number, or notice number using file folder tab inquiries. With this available information, the authorized users can provide answers to customer’s questions, verify customer name and address, etc, confirm status of customer account, and make any changes that might be appropriate. As the software quickly locates the citation record(s), authorized users can also view any additional outstanding citations for the customer, or other family members, and extend the opportunity for full payment. After reviewing the citation(s) with the customer, authorized user selects a “pay” button wherein the software displays the overlay payment window with all relevant data to quickly transact a payment – without exiting the original inquiry window. Additionally, authorized users can set up an installment payment account, record an appeal, schedule a hearing, print hearing correspondence letter, view and/or initiate boot/tow activity, enter user comments, etc. – all from the same inquiry window. For high volume over-the-counter transactions a cash drawer and receipt printer can provide added efficiencies. With a (optional) receipt printer/validator a receipt can be printed immediately and given to the violator and the citation can be validated as paid. All dollar transactions and end of shift totals can also be printed from the same printer. ParkTech® utilizes an Epson TM-U375 receipt/ journal/validation printer. This printer was chosen due to its reliability and combination feature (receipt, journal and validator in one). ParkTech® stores data from the actual receipt data in the citation transaction file. Depressing the print screen command button can then reproduce the actual receipt data. Since the software edit parameters will not allow erroneous payment data to be entered, ParkTech® provides for immediate, real time payment update. ParkTech® provides the capability to allow for late deposit postings. An authorized user can change the deposit date from what was recorded in the normal payment transactions, but will actually NOT be deposited until after the recorded date. After the actual deposit date is entered, the software will automatically change the recorded deposit dates and rolls back the penalty imposed, depending on the entry date. A report is generated that reflects and accounts for the date changes. ParkTech® provides automatic penalty escalation levels based on specific customer requirements. When a citation has exceeded the (pre-determined) time limit(s), the system automatically applies the appropriate penalty (also for multiple escalation levels). This process is automatic and occurs during payments, inquiries, and notice generation. The software provides the capability to process NSF check entries by providing the user the ability to click on a bad check command button. When the bad check command is depressed, the correspondence module generates a “request immediate payment” letter and the software automatically reinstates original fines and penalties, and NSF fees are assessed as required. NSF activities/updates are also recorded in the citation history file. The software monitors the accounts and alerts the cashier for previous bad check incidents when payment transactions are being conducted. Software provides the capability to accommodate a bankruptcy action by allowing the authorized user to place an administrative hold on the cita­tions applying a “bankruptcy” reason code. This hold allows Parking Services to suspend unnecessary noticing to the violator, the ability to discharge debts with a bankruptcy code, and generate a report of citations with bankruptcy codes. The software provides the capability to enter “Skeletal” payments for citations not yet on file. When the citation is entered through one of the citation entry routines, the software will automatically match the citation with the skeletal payment entry. The software provides the capability to set up time payment (installment) accounts. After account setup, the software records and tracks payments and issues delinquency notices when payments are not received on time. Penalties are to be automatically applied to any time payment account if the customers are delinquent in making their payments. ParkTech® provides the ability to place a specific hold code on citations that have gone to a collection agency. The hold code will immediately identify the citations in collection (agency) status and the report module will al­low for the immediate printing of related collection reports. ParkTech® provides the capability to obtain vehicle owner information. Since these functions are not part of the day-to-day customer interaction, it is preferable to conduct these background activities as system administrative functions. The software has the capability to export specific owner information requests on magnetic tape, diskette, or electronic transfer to the Department of Motor Vehicles and/or the Campus computer system. Conversely, the software has the capability to import requested owner information using same media and/or electronic transfer. To avoid redundant name and address imports/exports, the software utilizes the database relational feature to associate and assign current and/or past owners (on file), with the license plates on newly entered citations, precluding the need to conduct an owner information request. If there is no registered owner on file, an owner information request will be initiated. ParkTech® generates DMV vehicle and/or campus administrative diploma holds for unpaid citations. When payment is received from the violator, the hold indicator is removed, a “hold release” record is generated, and the citation disposed ac­cordingly. The hold release records are generated and forwarded to DMV and/or campus administration in the subsequent import/export activity. ParkTech® provides the capability to handle undeliverable mail. When a notice has been mailed and is returned as undeliverable mail, the user can reset the name and address status to an incorrect status. The citation(s) is placed on hold/suspense status and included in the next owner information request export. When the new owner address information is obtained, the database is updated, and the citation record(s) will be included in the subsequent late notice generation activity. The software provides the capability to handle sold vehicles. When a notice has been mailed and is returned as incorrect address “vehicle sold”, the software provides a feature to reset the name and address status to an incorrect status. The citation(s) is then placed on hold/suspense status and included in the subsequent owner information request export. When the new owner information is obtained, the database is updated, and the citation record(s) will be included in the subsequent late notice generation activity. ParkTech® software provides for management of owner information for leased/rental vehicles. When a mailed notice is returned from a rental or leasing company with the address of the lessee/renter, the record is updated accordingly, a notice is generated for the lessee/renter, and the citation(s) is placed on hold (suspense status), for a prefixed period of time. If the citation is not paid, within the time frame, the “original” name and address is reapplied and the company owner is notified that the citation is still outstanding. ParkTech® software provides the capability to record all vehicles owned by one person. A print function is available for producing printouts of queries that include all requested informa­tion, in addition to displaying the information on the screen. ParkTech® software provides for the generation and printing of courtesy/ delinquent notices. An unlimited number of notices to the violator can be generated from ParkTech®. The content of each notice may be varied according to customer specifications and statutes. The implementations of form, content, sequence and timing of the notice issuance are all components of the setup process for each customer individually. Authorized users will always have the ability to determine the criteria and number eligible for noticing before commanding the system to issue notices. When a “notice cycle” has been initiated, the software generates the actual notices. The software also generates a “notice register”, listing all citations associated with each notice which can be printed on a selective basis. The software also has the capability of consolidating multiple citations and/or plates onto a single notice/letter in the correspondence subsystem. For each notice produced by the software, a detailed notice record is generated and stored within the database. All notice records are easily accessed via the Inquiry file folder tabs. ParkTech® provides flexible methods for accommodating client correspondence. NetTech personnel coordinates with the client to establish letter template requirements. The software provides the capability to set up unlimited number of customized correspondence templates with multiple formats (including warning letters) for simple letter selection. After the templates have been set up, the user simply selects a particular letter (or code) and the system automatically inserts the selected name and address information of the violator. ParkTech® correspondence subsystem is capable of consolidating multiple citations and/or license plates onto a single letter. Correspondence can be generated and printed immediately or “queued” for later batch printing. ParkTech® maintains separate fields to identify generated letters and all correspondence activity is recorded in a history file indicating the date and type of correspondence. With ParkTech® authorized users have the capability to initiate, enter, track, and report all violator appeals for all disputed violations, and generate letters/ correspondence for all appeals. The software provides the capability to enter user defined appeal codes. suspending the processing, noticing, and escalations for the contested citation(s). The hold status is recorded with a dispute reason code and the administrator can set the period of time to suspend action. ParkTech® automatically removes the processing hold when the user makes an entry that the appeal is denied. The software will automatically resume noticing action. The administrator also has an option to set up a predetermined time interval wherein the softwareautomatically resumes noticing action after a lapsed (predetermined) time interval. If the violator fails to appear, and fails to pay the assessment, the software will automatically reactivate the citation(s) processing activities after the scheduled hearing date has passed. ParkTech® includes a hearing scheduling module that allows for present and future scheduling of administrative reviews, formal hearings, and/or court hearings/appearances. When a hearing request is entered, the software will automatically schedule the date, time, and location of the hearing based on a pre-determined hearing schedule. A hearing correspondence letter can be generated immediately or queued for batch printing later. The software provides the capability for the administrator to change/revise hearing dates and the hearing schedule can also be printed. An adjudication function provides the ability to enter/record all review results to include not guilty and dismissal findings, and generate hearing decision letters. An “imposed adjustment” feature allows an authorized user to enter a reduction of fines/penalties as a result of hearing. All adjudication results including dismissals and reductions, are recorded in a history file for access and future audit. The software also provides for substantial comments to be entered into the citation record. All hearing updates/transactions are conducted from one citation inquiry update window. ParkTech® generates a variety of standard reports for display to a window and/or send to a printer for a hard copy printed report. Authorized users can generate reports from a reports menu, based on a user selectable date range. The software is also capable of printing graphical reports on a laser printer. Additionally, ParkTech® is compatible with Seagate crystal report writer. In addition to the standard reports, NetTech Solutions’ technical staff can provide custom modifications to existing reports and/or design/implementation of any additional reports the agency might find necessary.